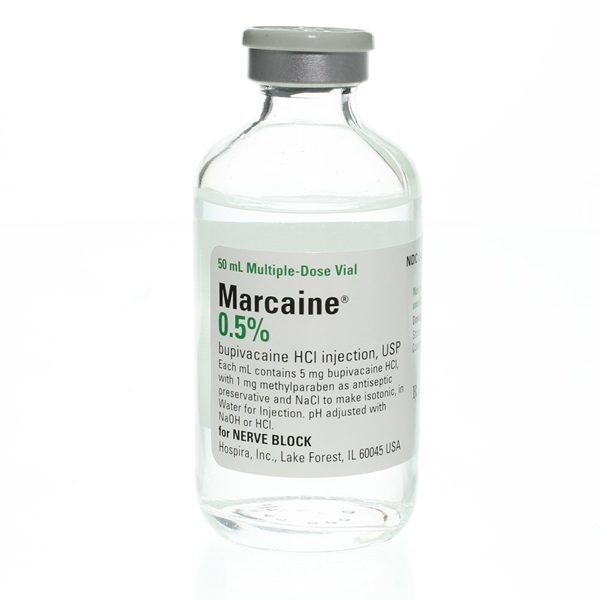 Injectable local anesthetic Marcaine 0.5% (5 mg/mL), in 50mL multi dose vial. Glass flip-top vial. 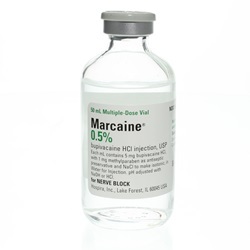 Used as a nerve block. Generic name is Bupivacaine HCl. Manufactured by Hospira. NDC: 00409-1610-50. Comes as singles.